For cutting soft, medium and hard materials up to HRC48 hardness. Center cut jaws for use where flush cuts are not required. Forged Powerlink jaws and induction hardened blades deliver 30\% effort reduction for easier cutting, ultimate toughness, and long cutting life. 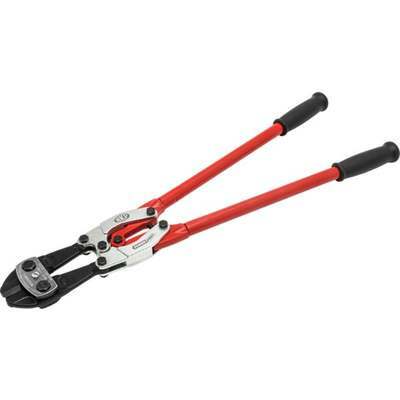 Tubular steel handles with comfort grips provide extra strength and cutting power. Cuts bolts, nuts, rods, screws, rivets, chain, reinforcing rod, nails, chain link fence, hard alloy chain, threaded rod, tire chains, reinforcing mesh, baling wire, wrought iron, strapping steel, copper wire, electric and copper wire, padlock hasps, wire shelving, wire spring.